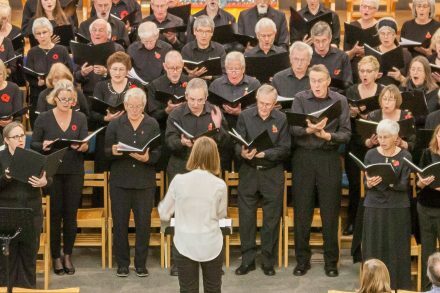 The Hallam Choral Society is an established choir striving towards excellence in performance. Our membership is diverse and currently at over eighty singers, who come from across the city and beyond to perform around four public concerts a year with an eclectic mix of music. 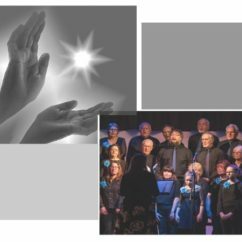 The choir usually perform concerts of lighter music in the summer, both traditional carols and other festive choral music at Christmas with concerts in the Autumn and at Eastertime. Our Musical Director, appointed in Spring 2015 is Elspeth Slorach, a recent graduate from Manchester University Music department who works with a number of choral and orchestral organisations in Greater Manchester and the north-west. Performances are accompanied by professional pianists, organists or orchestral players to suit the work being performed, and where soloists are needed the society strives to employ professionals of the highest standard. 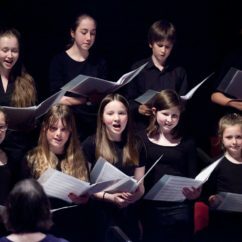 In a time when many choirs are getting progressively older and struggling to recruit young singers, Hallam Choral Society is proud to be attracting young people to its ranks. This is thanks in part, to a forward-thinking Young Singers Policy.